Are you suffering from headaches, mood disturbances and nausea at nights? You must visit the doctor immediately for these are some of the signs shown by people with Arachnoid Cyst. 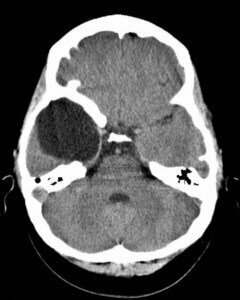 Arachnoid Cysts are sacs that are found between the brain surface and the base of cranium located in the brain. These cysts may also be found on the arachnoid membrane, one of the three membranes covering the spinal cord and the brain. Simply put, the sacs can be located on the brain or on the spinal cord. There are normally filled with cerebrospinal fluid. In some cases, the cysts are filled with Xanthochromic fluid. These are Arachnoid Cysts in the brain. These sacs are found next to the arachnoidal cavity in the brain. 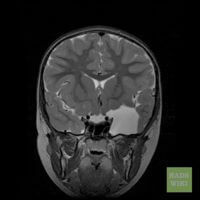 Extradural cysts – These are located outside the dura mater in the brain. Intradural cysts – These are found inside the dura mater. Perineural cysts – These are positioned outside a nervous tissue or a nerve. Only 4% of the population is seen to suffer from these cysts. Symptoms are absent in about 80% of the sufferers. The condition is found to be present in very few young people. Only a few people have abnormalities that demand immediate medical treatment. The symptoms vary with the Arachnoid Cyst size. Small Arachnoid Cysts do not give rise to any symptoms. But larger cysts can lead to some problems. Headaches are one of the biggest symptoms in Arachnoid Cyst patients. The Arachnoid Cyst headaches are not normal headaches. They are caused by an expanding cyst. A growing cyst puts pressure on the surrounding areas of the brain and blocks the flow of the cerebrospinal fluid. This increases pressure inside the skull and leads to a condition called “Hydrocephalus”. It is not known what exactly causes Arachnoid Cysts. But there are several health conditions that are believed to give rise to this disorder. According to many researchers, these are formed by developmental disorders that are caused when the arachnoid membrane tears or splits due to some reason. Minor head injuries can also damage the cysts and release the internal fluid into other regions. The cyst size may also increase in case of a blood vessel rupture on its surface. If a blood vessel tears and bleeds outside a cyst, it may create pressure on the cranium. In some cases, diseases like Marfan Syndrome and Arachnoiditis may also lead to the formation of Arachnoid Cysts. 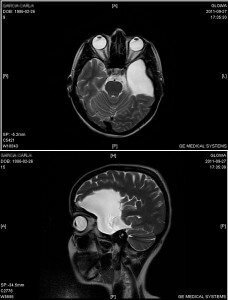 The treatment of Arachnoid Cysts is done after a proper diagnosis. Since these cysts produce little or no symptoms in the early stages, an accurate diagnosis is almost never done. In most cases, the cysts are not detected through the display of symptoms. Rather, they are discovered incidentally. In some cases, they are detected during the diagnosis of hemorrhagic complications resulting from minor trauma. 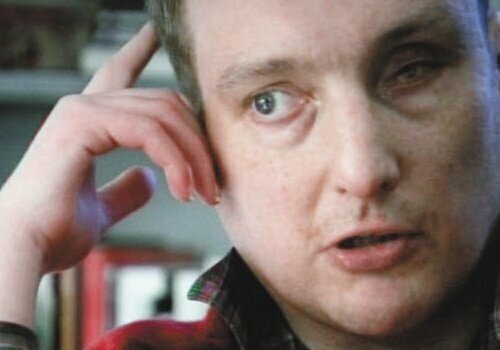 In a few cases, they are diagnosed during the appearance of neurological disorders like epilepsy. In most cases, Arachnoid Cysts are detected when CT (Computed Tomography) scans or MRI (Magnetic Resonance Imaging) scans are conducted on the patient to detect some other condition such as tumors. This mostly happens in case of children. Such tests immediately bring Arachnoid Cysts to the notice of doctors. If the doctor suspects a patient of having Arachnoid Cysts, he may evaluate the person’s cognitive abilities with a MMSE (Mini-Mental State Examination). Once the presence of Arachnoid Cysts has been ascertained, treatment begins. Treatment of Arachnoid Cysts generally consists of surgical procedures. If the Arachnoid Brain Cysts are found to have grown bigger and exerting pressure, a shunt or tube is placed inside the brain by operation to reduce the force. A new fenestra or opening is created through surgical means to restore sound hearing capabilities in the patient. The cysts are examined through this process to examine the cells and also to test the effect of treatment. This medical procedure serves to control the symptoms induced by the cysts. Such treatments are used to cure symptoms like headaches or seizures caused by enlarged cysts. However, Arachnoid Cysts are not generally treated if they are small in size and do not cause any symptoms. With treatment, most patients recover from Arachnoid cysts and are able to lead a normal life. A pictorial description helps understand a medical condition in a better way. Go through these pictures to know where Arachnoid Cysts are located in the human body and how they create complications. If Arachnoid Cysts are left untreated, they may get larger in size and cause severe neurological damage that may last for a lifetime. So if you doubt yourself to have this condition or know someone who may be suffering from it, take him or her to the doctor immediately. Timely medical treatment can help avoid a lot of complications in future. I have large arachnoid cyst in head on right frontal lobe,I am 61.female. sym, chronic. migraine Ha in childhood, severe hypertension, can feel pressure go up in head, atrial septal aneurism, spinning dizziness, 1 seizure, with blackout age 50, nausea, lack of smell, pain in r side head,urine at times flows out, twi sometimes twitching,tremors, hard time remembering names when pressure goes up in head, blood urine, lower back will ache, edema, palpitations.numbness at times in toes and fingers, voice changes from female to male….